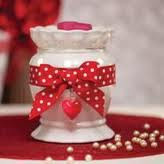 Scentsy's Warmer of the Month for January is Valentine. I was going to pass on this warmer, but then I saw it and the bow and heart charm sucked me in. It is really cute in person ... perfect for that something different for Valentine's Day! NC State is finally here!!!!! Perfect for that something different for Valentine's Day! 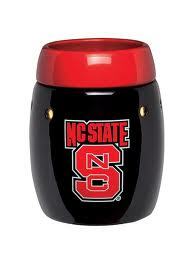 (lol) I know there are a ton of Wolfpack fans out there that just have to have this to add to their collection. Orders can be made here on February 1st.